Communicating with horses is a two-way conversation; at least it should be. We like to think we understand the horses we share our lives with and in fact those we don’t share our lives with. As important, we expect, and take it for granted that horses should understand what we want of them, and we become frustrated when they ‘disobey’. I continue to come across those who are eager to describe a horse’s individual character and personality and yet they then go on to ‘train’ and ride in a ‘one size fits all’ regime causing untold suffering all around. These days, I prefer the terms ‘teach’, or ‘show’; the energy and feel behind these words is far more subtle and pleasing than the latter. As you read on in the following blogs you will learn the importance of using words, thoughts and body language that emit calming energy. 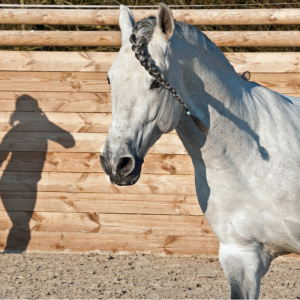 When I was invited to write an article about Equine Communication on behalf of the ‘World Bitless Association’, I wasn’t sure where to begin or how to approach the subject. I’m not a qualified behaviourist; my ‘Communication’ qualification refers to the intuitive and telepathic communication between animal species – including between human and non-humans. I don’t know what I don’t know, but what I do know has got me through life with horses with very few hiccups and generally happy, emotionally balanced horses. I endeavour to stay abreast of ever advancing ‘mainstream’ science; however, other than my studies in the fascinating realms of quantum science I am not scientifically minded. I do find that much of my work over the years is now being backed up by science. If only we were more in tune with horses, their suffering would not have to wait for science to confirm it. 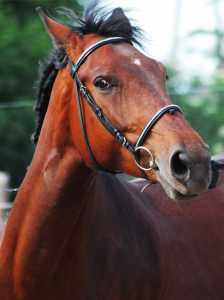 Horses are the only beings who are truly able to teach us; we just have to learn how to listen. With that in mind, I decided the most appropriate direction of approach to this article is through my own learnings and experiences, and to leave the scientific explanations to those who come from a science-based view. My first real encounter and wake-up- call with equine communication was in the Autumn of 1965. It was at the time of my indoctrination to the bridle and saddle at around 8 years old after spending the summer months indulging in my secret favourite past-time of jumping up on the back of any pony who was kind enough to stand still and allow me to sit astride them while their respective guardians remained oblivious. I was never short of ponies who were willing to sneak around with me and have fun. One pony, in particular, appeared to look forward to our secret trysts. He would wait and whinny as I approached his paddock as bold as you like. I’d learned during that long warm summer that, with mere thought and imagination the pony would take me in any direction I asked for, and in any gait, I played out in my head. I didn’t know that my vivid imagination and my oozing happiness at that moment was being picked up by the pony. I didn’t know I was ‘communicating’ with him. He would communicate his own wants, needs and wishes to me via his head, ear, eye, nostril, muzzle and body movements, as well as making changes in his gait, rhythm and balance, and various gentle relaxing snorts and sighs as everything around us, although I was still aware became a nothingness. There was just me and the pony and somehow we no longer felt separate. Of course, at the time I didn’t consciously realise I was in a ‘classroom’, I was merely recognising my own discomfort and in doing so re-arranging my position, my breathing, my balance, while all the time keeping an eye on the pony’s every move – the blink of an eye, the slightest twitch of an ear. I remember being quite conscious of what I felt underneath and behind me. I simply knew I must change my position and my balance; the pony would remind me to breathe in a slow constant in and outflow as he slowed and stiffened through his body until I released my shallow, and sometimes non-existent breath. As I released my tension and my breath the pony would reward me by releasing the same. He would stop and thrust his tail as a reminder to not use my legs and thighs like a vice around his belly. His teachings were clear and precise; I made the mistake of interpreting his patience in his repeated actions against my imbalances and stiffness as anger and frustration. He taught me that the anger and frustration were not his – they were mine and I must take ownership of my faults before moving on. 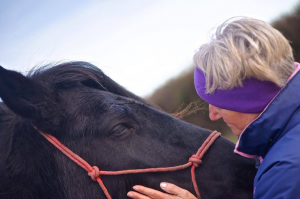 And we did move on – that is until I was introduced to the saddle and bridle by the pony’s guardian (clearly a few years older than I was), whose jaw had dropped at the sight of Monty cantering around his paddock with me gliding along with him. Monty’s reaction was one of fear, frustration, and I saw a look in his eye I’d not until that moment seen – disbelief. How could I have done such a thing to him? He’d trusted me and I had suddenly, without any thought forced him into a position of fight or flight. I had betrayed my teacher, my friend, my confidante. It wasn’t my intention to cause him pain and fear – but the fact is I did. I was so excited with the thought in my head of going for a proper ride away from the paddock, my attention, my focus turned away from him to my own wants and desires. My ego, selfishness – call it what you will, had reared its ugly and very dangerous head. Since that time I’ve spent much of my life studying horses – their interactions and behaviours within a herd and in the company of humans; I’ve watched them when in isolation, at liberty, when incarcerated, when ridden, in times of birth and death. Do we really still believe that horses have vices? I remember often hearing phrases that included the term ‘vice’ in the 1960s. That term is still as prevalent today – almost sixty years later. Very recently I read a Facebook post about the death of a well-known equestrian when he was kicked in the head by a horse he was loading. It was a very sad thing to happen, but what caught my eye was a comment which referred to the kicking by the horse as a ‘vice’. The dictionary references a ‘vice’ as a moral failing or a bad habit. Humans created the term. Horses know nothing of ‘vices’. Horses do not have vices; their habits and nuances from cribbing to kicking are as a result of human failure to understand them; of human failure to consider the wants and natural needs of the horse to be a horse. Anything the horse does that humans consider a negative is usually down to a deep lack of understanding of the horse’s communication towards humans, resulting in human re-action where focus is given to the symptom – that thing that just happened, rather than pro-action that would have prevented the source of the problem rooting itself in the depths of the animal’s psyche – festering and growing to the point where it explodes and manifests into physical form in the guise of ‘behavioural issues’ and even physical ailments. The anecdote suggests that two things are too different to exist alongside each other and are unable to agree. This is true when relating it to the equine/human relationship, and here’s why. Horses live in this very moment – in the right here, right now. Human beings, however, generally live in a different time zone; our minds are either busy dwelling on past experiences that cause us emotional pain, or we zoom off into the future with all our ‘what if’s and worries about what might be. 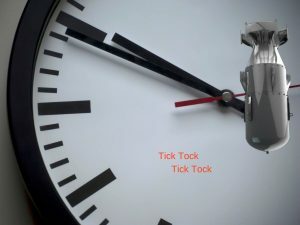 Add to all that our busy schedules with the excitements and stresses of daily life and we build an internal time bomb. It is very much a case of ‘never the twain shall meet’. Living our lives in a completely different time zone to horses leads to stress, distress and very often accidents because we do not notice the tiny warning signals by the animal that something is wrong. Who will blow first – you, or the horses in your care?